A few months ago, we were traveling to Eureka Springs and drove through a tiny town called Goshen. I knew it existed but had no idea there were places to go there. Well, one place in particular. We saw the sign for the School House Cafe and decided to try it on our way home. Every time I go, I am determined to try something else besides a hamburger and so is John but we both end up with some form of a burger. There’s the regular cheeseburger basket and there’s also three different kinds of specialty burgers. One is like a Philly cheese steak style burger, a BBQ pepper burger and another called “Quityerbellyaching Burger.” It’s huge. 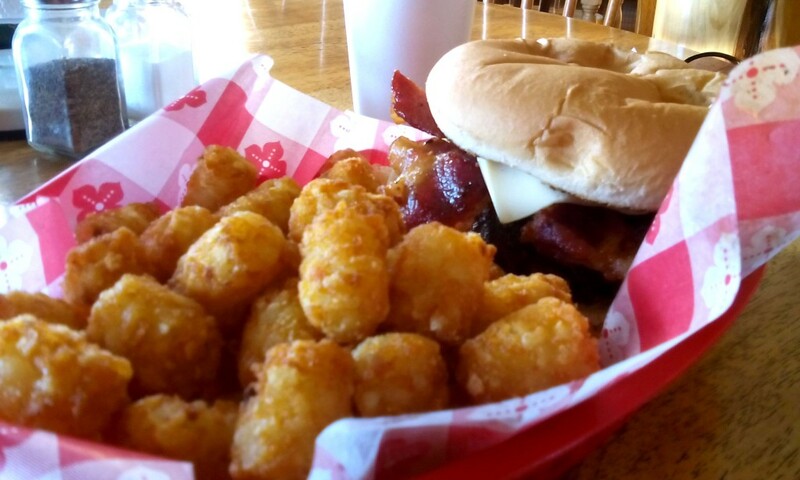 I usually get the BBQ burger and this time tried the tator tots. They were not greasy and really crisp. 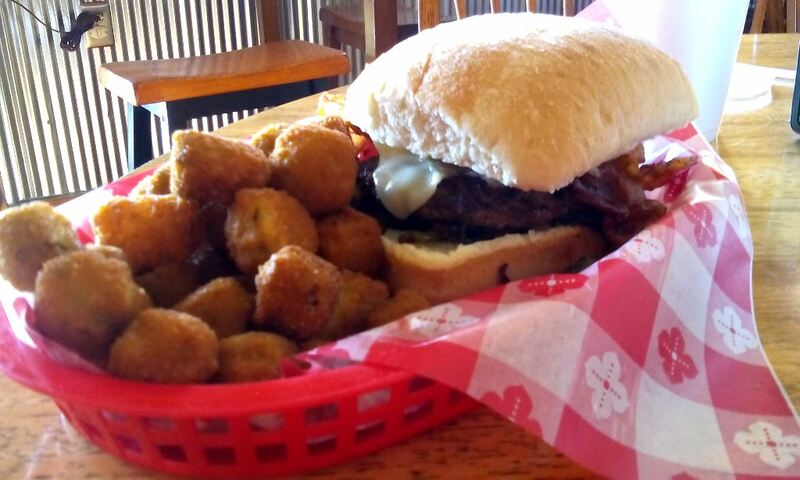 John recently tried the Philly burger and said it was fantastic. Note that it comes on a ciabatta bun. He always gets the fried okra. Just to be clear, this restaurant does have more than just burgers. 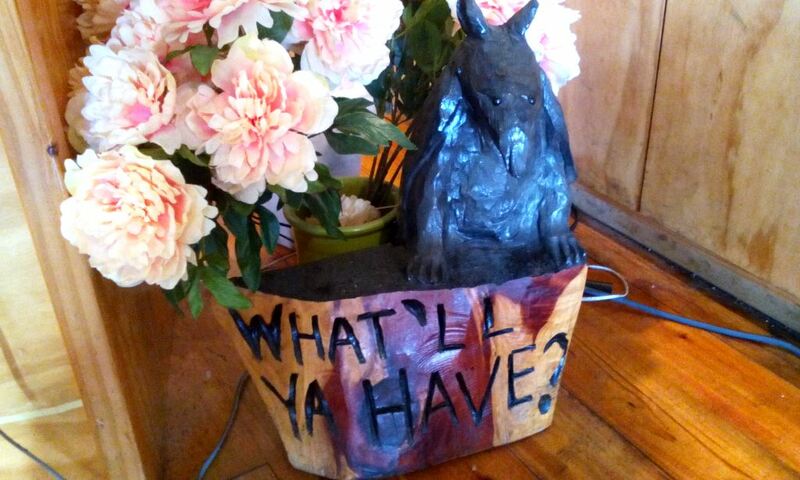 They have a couple kinds of hot dogs, salads, a Reuben, club sandwich, different kinds of chicken sandwiches, and a fish fry on Thursday, Friday and Saturday nights. We also love their sides. Well, at least the ones we’ve had! John always gets the fried okra and I choose between the regular fries, the sweet potato fries, and now the tator tots. Another great feature (when you can get it) are the pies. They make handmade pies but we go at such weird hours that half the time there’s little to no selection left. The last time we went we totally lucked out! We had a selection and even got to try a pie neither of us had heard of before. 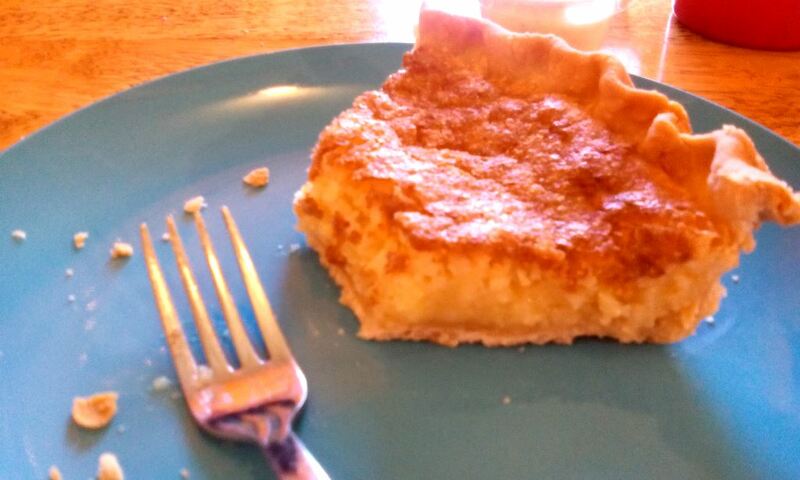 A Jefferson Davis pie is a southern take on the chess pie. I forgot to take a picture before we dove in to share this piece of Jefferson Davis pie. It’s basically a coconut egg custard pie. Like coconut cream pie without the cream. 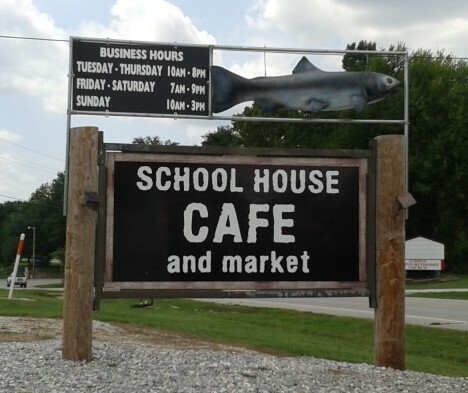 You may notice that the place is called School House Cafe and Market. It does have a drink case where you can get milk and drinks but that’s it. What we enjoy is the fact that it really is an old school house and maybe a church. 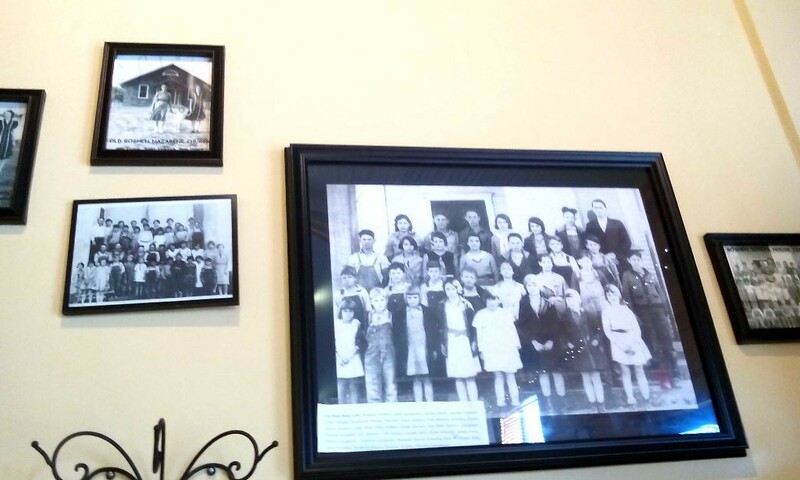 There’s pictures from how the building has been used coupled with pictures from history all over the walls. both highly recommend this place and would say to make sure you get there in time to share some pie! I’ve driven by this place several times and always wondered about it. Thanks for the review! I will definitely try it. Love me some fried okra.